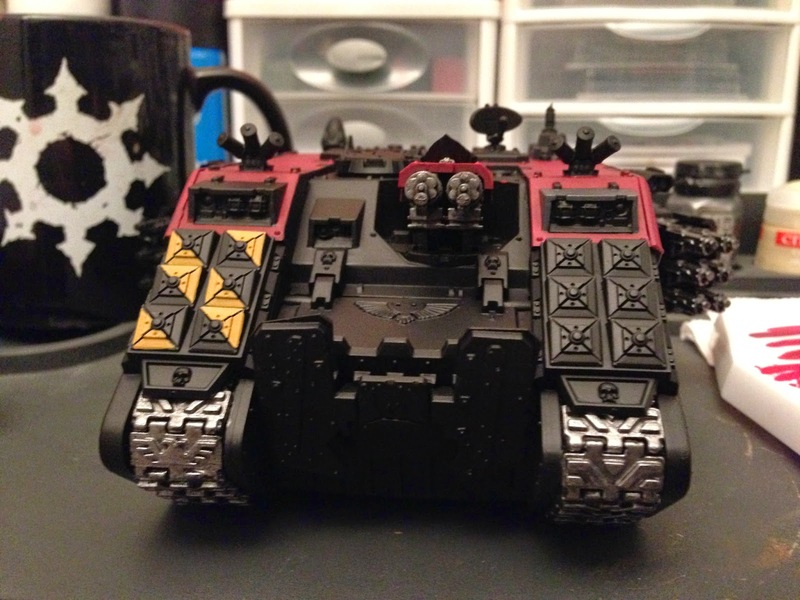 I was motivated this past weekend and did a little additional work on my Inquisitorial Land Raider. I did a fair amount of the silver base coat as well as did more work on smoothing out the red. 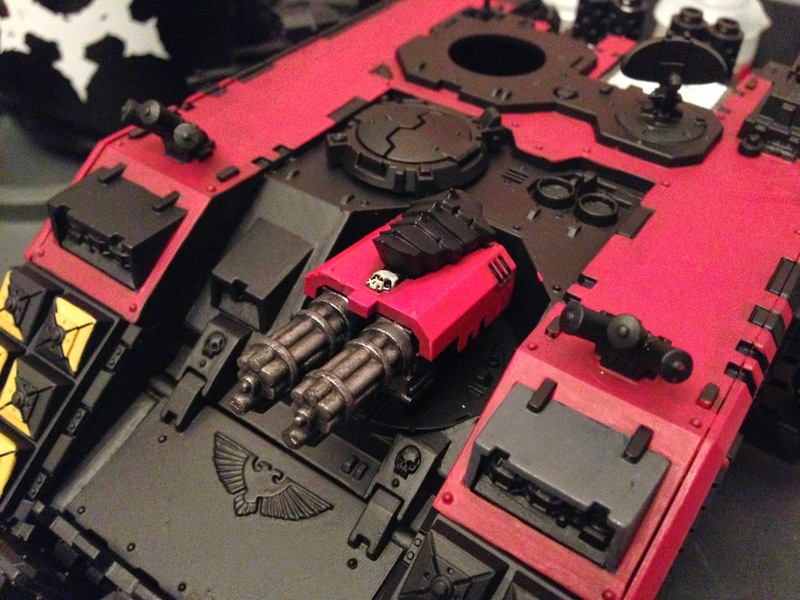 I am more or less finished with the Assault Cannon (just needs highlights on the metal), other than a bit of Squig Orange line highlights. The plan is to do a 50/50 Squig/Mephiston line followed by pure Squig. I've done that before for reds and it looks nice. I put the yellow base coat down on the left set of frag launchers. 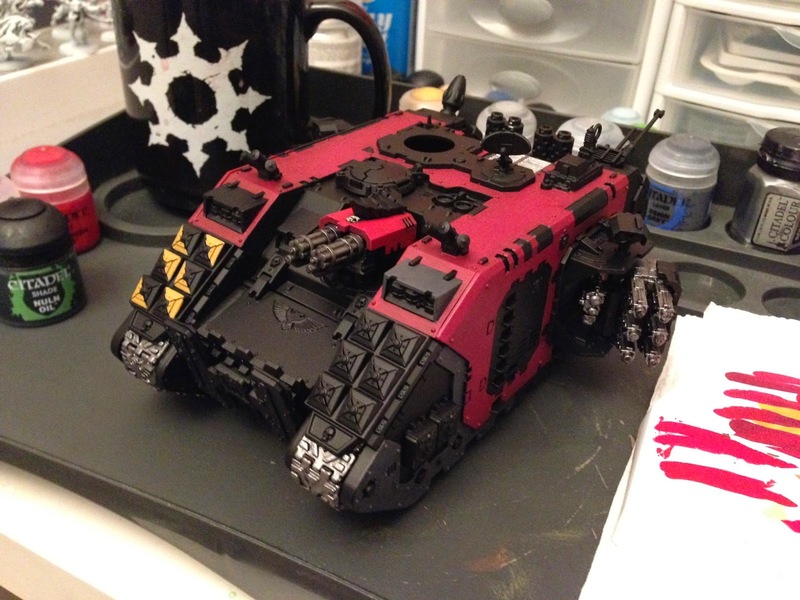 I still need to base coat the right side and then add some brighter highlights. I'm finding that I get bored with large sections of single colors, so I keep moving around a little. Without further ado, here are a couple of work in progress shots.